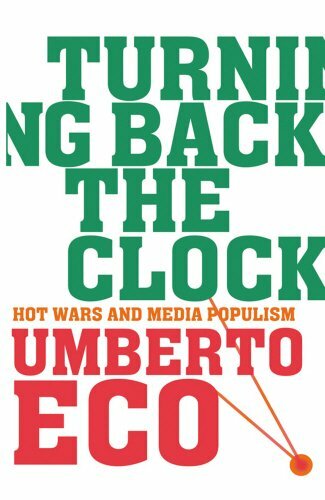 Turning Back the Clock is a brilliant collection of essays by one of the leading intellectuals of our time. With his customary sharpness and wit, Eco explains the tragic steps backwards that have been taken since the end of the last millennium. After the Cold War, the 'Hot War' has made its comeback in Afghanistan and Iraq. Exhuming Kipling's 'Great Game', we have gone back to the clash between Islam and Christianity. The ghost of the Yellow Danger has been resurrected, the nineteenth-century anti-Darwin debate has been reopened, right-wing governments predominate. It almost seems like history, tired of the big steps forward it has taken in the past two millennia, has gone into reverse. This book proposes not so much that we resume a forward march, but at the very least that we cease marching backwards.